Dreaming Big: Guess What I Am Planning? Does your heart pound a little faster? Have you been kept awake at night wondering what your life would look like if this were realized? Is it a topic that you can’t stop talking about or brainstorming? Is it a heart’s desire that just doesn’t go away? Is sounds to me like you might have a big dream stirring in you, but maybe you can’t even give voice to it quite yet. If you follow me on instagram (jenschmidt_beautyandbedlam), you have seen just a vague glimpse of a big, fun, crazy dream that I’ve slowly started started giving birth to over the last few years. It’s the first time I’ve mentioned it on here and even typing the words has my tummy doing all sorts of fluttering things. I think that’s what big dreams are all about, aren’t they? To set ourselves free to take a dip outside our comfort zone? To dream about all the ways that God might take this and use it for His glory? I’ve written here time and time again about my heart for hospitality. There’s nothing I love more than to welcome people into our home and hear their story, but sometimes, my dreams for our gathering are limited by my surroundings. And then I started thinking about all the weddings that our extended family has right around the corner. Within the next five years, there’s the potential to be 6+ weddings, followed by another six in the next 10 years. There would be nothing better than having a dream wedding on our homestead, but thinking through the cost of putting down temporary flooring and renting tents, tables and seating for 250, well, reality sets in. I’ve spent the last few years gathering pictures, creating a vision board, pinning pictures and just privately dreaming about what the addition of a “Barn, Event Center, Gathering place, Retreat center, crafting/cooking class location” would look like on our land. The more I dream, the more excited I become and the more ways I brainstorms ideas on how to merge my passions and gifts, along side my desire to use this as a place for ministry. 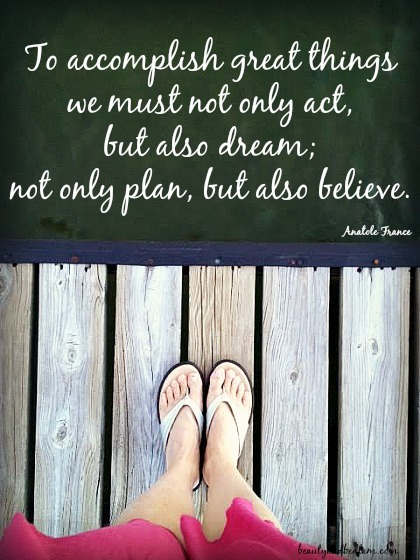 Dreams never become reality unless actionable steps are taken. Often we hijack our own dream with all the doubt we place before us. When I began dreaming about starting the Becoming Conference, I just took the first step. If I had spent months mulling over the time, work and reasons it might fail, the first year would never have happened. If you had told me that 600 women would sign up immediately, when we didn’t even have a clue what we were doing, I would have run. I am so glad that I didn’t. This August will be our 4th year and that dream turned reality is a blast (come join us – we still have tickets). I am dreaming big, and I believe that this can happen, but I am now breaking it down into actionable steps to take this from a dream to a reality. This will be an investment. The investment of time and creativity I have, but the investment of financial resources, I must plan for starting now. I am also getting very creative in how to make this happen with out going into consumer debt. I’m brainstorming bartering services etc. While we still have a small mortgage, that is the only outstanding debt we have. In reality, this dream is only possible because of steps my husband and I have taken over the last decade. Our commitment to debt free living and following Dave Ramsey’s baby steps have made this dream something I can pro-actively work towards. If we were laden with debt, this dream would be put on the back burner while we paid that off first. One of the surprise gifts we received in terms of our savings came through our children’s college fund. With five kids, you can imagine that paying for their schooling tops the list of funds we allocate. Our family agreement is that we will pay for half of their college, but they have to pay half. I’m going to do a future post on paying for college since we will have four of our children in college within five years. ( That post is now up here.) One immediate recommendation? Even if your child is five and you feel you don’t have the budget to save, they will brainstorm ways to make that money grow. Our gift came as a result of the 2014 signing day. Our #2 son received a full college football scholarship worth $250K. Even though we would never have sent him to a school that cost that much, it still frees up a sizable chunk of our change thanks to his hard work. We are taking a portion of the money we would have paid into his college tuition and investing that for my big, fun dream. My goal is to have our first event within two years. That event may only be a fun picnic under a barn skeleton, but my father has instilled in me that nothing becomes dynamic until it becomes specific. Our first desire it to purchase some additional land behind our house. If there’s one thing that my husband is a huge believer in is that you can never go wrong with owning more land. Even if my big crazy dream doesn’t actualize, the land is a firm investment. Over the next year, I am going to take you along with me on my Big, Crazy Dream. I’m going to share the creative ways I am saving money to make this happen, as well as the extra jobs I’m taking on to make additional cash plus, I’ll let you know some of the design decisions. Now I just have to get one of my fun design friends to help me plan the barn layout with varying phases to build as money allows. It’s going to be a roller coaster I am sure, but I promise a lot of eye candy as I dream big and share some of my inspiration pictures. So do you have a dream that’s been stirring in the back of your mind? Does it take extra finances to make it happen? Is there a dream you’ve been saving for this year? I’d love to dream big with you. What is it? Congratulations my friend, that is a big and beautiful dream and I can’t wait to see it unfold!!! @CentsationalGirl, Thanks so much, Kate. Now I need to channel your inner “Barn” design. I want the style an even mix of both you and Layla’s design eye. That is AWESOME! And what a wonderful venue to host weddings, parties, rent for families. Good job! Dreaming…is always for me filled with hope and possibility yet as a chaplain the question always remains; “What would God have me do?” In the last five years, he has (to my great surprise) directed me to attend seminary, acquiring a Master’s of Divinity ant Liberty Seminary, with a chaplaincy focus. As well as support my husbands recovery process from cancer. I’m currently working at a Volunteers of America mission as a chaplain in Denver, CO.
We recently move into a small apartment and identified with the role of missionaries, which perhaps was God’s idea. Past dreams have included participating in a fine art career/studio both creating and teaching art. I at one point dreamed of having a small animal rescue and ranch. Yet today, My husband and I are given direction on a ‘need to know’ basis from the Holy Spirit. Your dream and insuring adventure the sound not only challenging but very rewarding. Blessings in Christ to you in the coming weeks, months and years of your journey. Oh Deona – Thanks so much for sharing. Wow, the Lord has given you some amazing five years, although I know that it can’t have been easy with your husband’s cancer. And I love that your said the Holy Spirit gives you it on a need to know basis. That has often been our experience as well, but now we will see how (and if) he wants to use this barn for His glory. Jen this is just so exciting! It will be so lovely and I bet the process will be beautiful – and messy, but still so very good. Chase your dreams, my (in)courage friend. “Often we hijack our own dream with all the doubt we place before us.” That phrase really resonated, it is so me. There are several things I have been dreaming about lately: maybe going for a Master’s degree and taking the CPA exam. Dreaming we had a bigger house so we can be in a position to help people with a place to stay or to host bible studies & be the house the kids hang out at. Our house now is around 900 sqft and the common rooms are on the small side. As it stands right now we do not have the funds for either thing so God would definitely have to take care of the funds! Wow! I am impressed. This is a huge dream and you are going for it. I love your suggestion of taking it one step at a time. I think when we have a huge dream or goal, looking at the big picture often feels overwhelming and too difficult. Isn’t it interesting how paralyzing the fear of failure is? For me, it was starting a blog. It was a dream and is a passion, but the fear of failure held me back for far too long. I think it is important that we set aside our fears and move forward in faith, especially when it concerns things that will bless others. Looking forward to sharing the journey with you – even if it is only online! 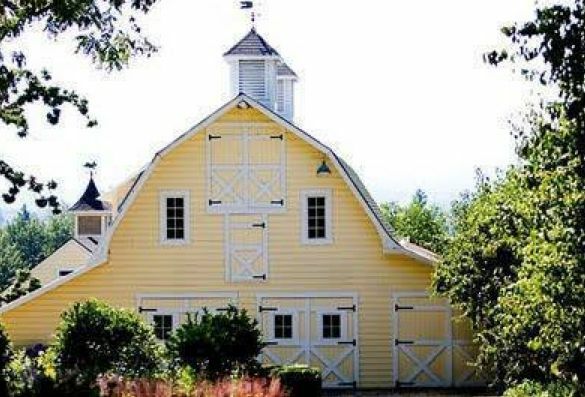 That is a big beautiful dream, that yellow barn shot is gorgeous! I have a question that may seem odd. What of today’s climate with being forced to hold weddings ( or perform or bake cakes, etc) under conditions that are hostile or against values? We have actually wondered about this. We probably have 300k in medical/legal debt for our first two daughters, and the second one has no cure, so its continuous debt. I can’t think about my dreams any more, and I can’t leave the disabled child to make a few bucks at a grocery store. I miss dreaming, so sometimes I give in. So sorry to hear about your daughters medical problem. I can’t even imagine how difficult that is to deal with. As far as your questions about wedding and conditions about values or hostile conditions, please expound. I am not sure I understand your question and I’d be glad to give an answer. Whoa. Cool. Can’t wait to see this unfold!!! Girl, I think you’re just the one to make this dream come true! What a wonderful idea that may bless your family and many others! If you haven’t already, I recommend you look at a place called “Starlight Meadow” in Burlington. I attended a wedding there recently, and it was just lovely! I just found this post. When I read it I could not believe that someone would have the same dream I have right now. 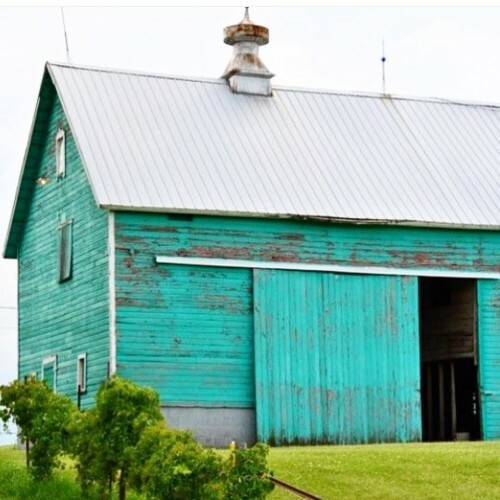 We have an old barn that my husband wants to tear down and build new. I’m thinking fix it up and try to hold one of my three kids weddings here. I figure if nothing else we could have it for family gatherings and friends events. Thanks for letting me dream with you! I love your frugal fashionista posts too. Glad you are bringing those back! 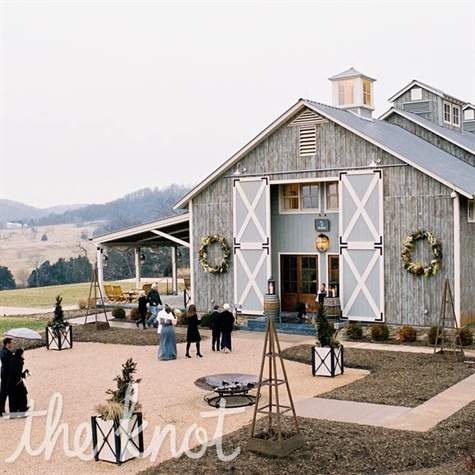 My cousin owns a wedding venue – http://www.colemanchapel.com – and someone else I know owns two wedding barns – http://www.theroyalridgeweddingvenue.com These are in two different states. I thought you might like to look at their web sites and get ideas. How exciting! I can’t wait to see it come together. I know Nester will be a great resource along the way. What an inspiration I never wake up this early but today I woke up and though my big dream is to have a wedding venue. I have a passion for love and its such a joy to celebrate and worship about the biggest of all, love! My first thought was definitely a barn wedding venue but then reality kicked in and realised financing will be a big mountain in the way, but reading your journey was just such good sign that I will not stop dreaming because with God all things are possible…. Thank you for the inspirational message …. I believe that dreams should become your reality because if you can dream it you can do it. Good luck and I know we don’t know each other but realising we share a dream….I will certainly have you in my prayers that all becomes a reality for you. This is really cool! If you can believe it for almost a year God has been molding this same idea in my life, just a little different. I’m a photographer and graphic designer so what I believe God wants me and my family to do is make a wedding venu that provides everything in one location. A lot of unknown especially since we don’t even own land yet. Really excited and praying for God’s blessing over my dream.